Australia's Science Channel | Ancient bird poo? Tell me moa! Ancient bird poo? Tell me moa! You can learn a lot about an animal from its poo. Even if they’ve been dead for thousands of years. 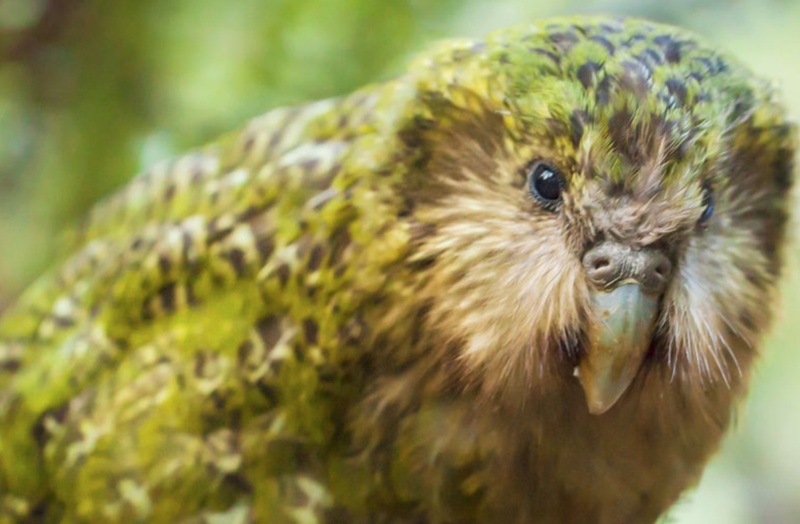 The critically endangered Kakapo parrot. Studies show what his ancestors would’ve eaten. Coporolites are fossilised dung, and DNA barcoding analysis of some has told us more about the diet and lives of some of New Zealands ancient birds. New Zealand was the last large land mass to be colonised by humans, but within 200 years of human arrival, around 40% of all bird species disappeared, including all nine of the country’s moa species. Yet the temererate climate, widespread cave systems, and relatively recent extinctions mean there are still traces of these ancient birds to be found. 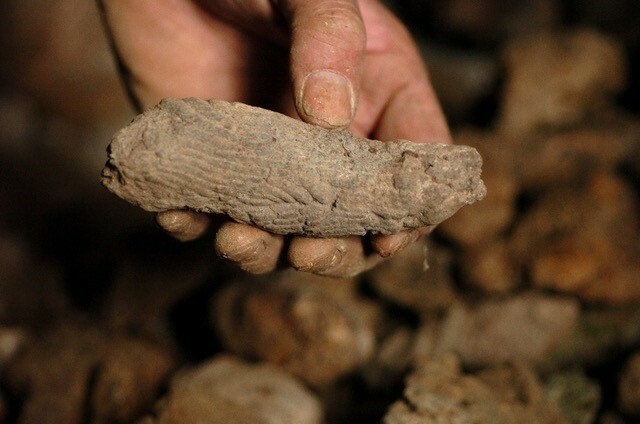 “Coprolites were actually more common than we’d thought, once we started looking for them,” says Dr Jamie Wood, of Landcare Research. The research team used a new method of ancient DNA metabarcoding to analyse 23 bits of ancient poo, ranging from 124 to 1,557 years old. The remains came from four extinct species of Moa (large flightless birds) and ancient kakapo, a critically endangered parrot. The DNA metabarcoding allowed the researchers to characterise a wide variety of plants, fungi, mosses and parasites from the ancient poo in a single analysis. The study revealed an interconnected relationship between the ancient birds, the beech forests of New Zealand, and a fungus called Cortinarius. Southern beech trees account for around half of New Zealands forest canopies, and are codependent on a certain type of fungi (mycorrhizal). The tree provides food, in the form of sugars generated from photosynthesis to the fungi, and the fungi in return provides the tree with various inorganic nutrients and trace elements from the soil. The kakapo and moa poo showed that all these birds ate Cortinarius, a type of mycorrhizal fungus. In other parts of the world, the fungus usually relies on being eaten by mammals as a method to hitch a ride to a new part of the forest, but in New Zealand this lineage of fungi are “uniquely colourful” in order to attract birds to aid their dispersal. This is important because, although introduced mammals like deer and possum are known to eat both native and introduced fungi, the native fungal spores fail to germinate after passing through mammal digestive tracts. “A key finding was that the giant birds were eating a wide range of mushrooms and fungi, including species that are critical for the beech forests that are widespread across New Zealand,” says lead author Alex Boast, a PhD student at Landcare Research. The brightly coloured mushrooms remain distinctive parts of these forests today, but it appears they were meant to be eaten and then distributed by the moa. “The wide diversity of DNA we retrieved from the dung has allowed us to reconstruct many aspects of the behaviour and interactions of species that we’ve never been able to see before,” says ACAD Director, Professor Alan Cooper, who led the study.